Did you know that how strong you are is the #1 predictor of how little you will age? That’s right, simply by getting stronger, men can actually look like they are aging “backwards.” In fact you actually need to workout LESS in order to look as much as a decade younger than you are right now in less than 60 days. As soon as you stop doing endless sets of muscle pump reps your physique deflates like a balloon AND you quickly lose whatever strength gains you managed to make. Listen: I learned all this the hard way. And I want to share the simple system I discovered when I was working SWAT, that now allows me to easily boast a lean, muscular and athletic body in my late 40s while I train half as much as I did when I was younger. I felt the bottom drop out of my stomach when my wife showed me a photo she took on my 32nd birthday. In my mind I was a lean and sleek tactical operator with an athletic physique. Yet what I saw in the photo looked more like an overfed bull put out to pasture than the wiry and powerful leopard I imagined myself to be! I had no neck. My face looked like I’d just been stung by a bee. And my entire body was like a whoopee cushion ready to pop! I was disgusted to think of all the hours I put in at the gym… only to look like a bloated carcass. And as I walked into work the next day and assessed what the other guys on my SWAT team looked like, I wanted to smack my head against my locker. These guys all had the powerful and athletic looking physique I thought I had. To make it simple… there are basically 2 physical responses you can target in your workouts. Straight up… Tactical Muscle is a thoroughbred race horse while Show Muscle is a Clydesdale. Sure, both are strong and imposing, but for very different reasons. A man with Tactical Muscle can boast of what a lot of experts call the “Power Physique.” And it is built through an exciting daily quest for strength and power! On the other hand, Show Muscle is all about the puffy physique that bodybuilders are after. And it requires hours and hours of boring exercise volume designed to create a muscle pump and to force the body to inflate against its nature. Now… the question is… which one do YOU want to pursue. If you’d rather work out less, and you like the idea of creating the type of Power Physique that comes naturally when you train for Tactical Muscle, then keep reading. And this sneaky trick — when used wisely and properly — helps peel back your nervous system roadblocks and opens you up to a whole new world of strength and mass. My exact Tactical Muscle method is a carefully calculated weight “ramping system” used to progressively excite your nervous system WITHOUT triggering its defences. The trick though is in the specific formula for creating “waves” in the weights you use. This keeps your muscles off balance and triggers massive strength increases. I won’t get too geeky, but my very precise system takes advantage of something called “post-tetanic facilitation” to stimulate your high threshold motor units so you can lift more and grow faster. I’ll also help you master the three big PRESTIGE lifts — Bench Press, Squat, Deadlift — with detailed tutorials. Like it or not… these are the 3 lifts other guys are judging you on in the gym. Plus, these 3 exercises — when combined with the other supporting exercises in my system — have the highest potential to deliver shocking strength and size gains using my loading protocols. After years of reserving this system exclusively for the elite operators I work with from around the world, I’ve tweaked and perfected every aspect of these methods to get the fastest results possible with the lowest conceivable risk of injury. And now their results can be your results too! For the very first time I’m making the Tactical Muscle System available to civilian men who want the same lightning fast strength gains and muscle growth previously reserved only for elite military and law enforcement operators. Helping you achieve the kind of strength built through Tactical Muscle is part of that mission. Which makes your success my success! 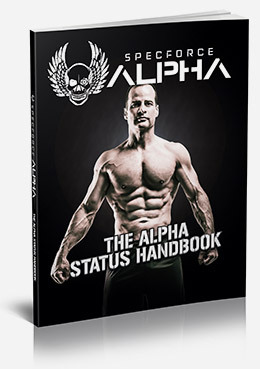 However — while this page is still online, and not a minute longer — I’m actually going to knock another 63% OFF your price to get your hands on Tactical Muscle! Just use the button below to secure your price while you can! If for ANY reason you are not 100% satisfied — EVEN if it’s because you just don’t like the look of my ugly mug… LOL — just let me and my team know before the end of 60 days and you’ll get every penny back within hours! 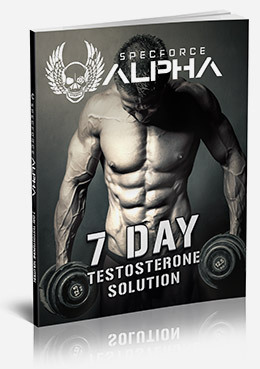 We expect you to test every program created by Alpha Nation for a full 60 days to prove every promise we make and experience the results for yourself. 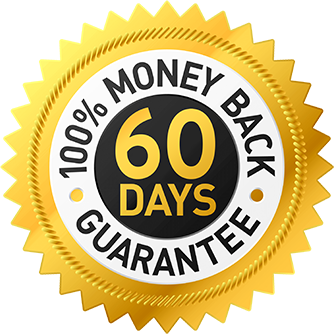 If for any reason you are not happy with the System simply email us and you'll receive a 100% no-questions-asked refund at any time within those 60 days. Guaranteed. We already agreed that Tactical Muscle is worth AT LEAST $79 by itself… so getting more than 60% off that is already a pretty great deal. And each of those would sell for $30 or more by themselves… except they’re ONLY available as part of this special package so you can’t GET them anywhere else. The best part is you need to spend LESS time in the gym to get these faster and superior results!